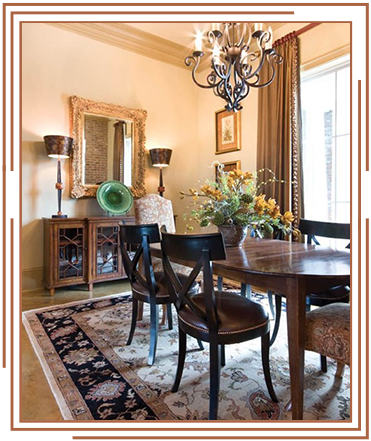 Nolan-Kimble interiors provides full service custom interiors from start to finish. Client contracts for custom homes provide assistance with space planning, furniture layout, plumbing selections, flooring, countertops, lighting, hardware, paint colors and finishes, custom drapery, and custom furnishings and accessories. We also provide hourly consultation for finish selections, lighting, flooring and paint color selections. Hourly consultation is also provided for in home makeovers for those who are on a tight budget! Anything is possible! Design consultation by appointment only.